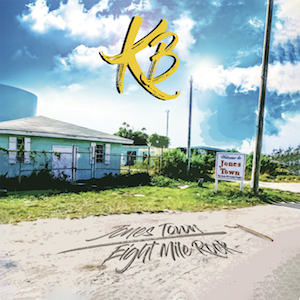 ‘Jones Town, Eight Mile Rock’ is the latest music project by iconic Bahamian singer, songwriter, producer and entertainer KB. The twelve track CD is the first full length album released by KB since ‘Rake N Scrape Fool’ in 2013. The title ‘Jones Town, Eight Mile Rock’ is a tribute to the community where young Kirkland ‘KB’ Bodie was raised, the close knit settlement of Jones Town, Eight Mile Rock, Grand Bahama, where important values were instilled in KB as a child and where the foundation was laid for the man and artist he is today. Many of the songs that fueled KB’s popularity in the 80’s, 90’s and 2000’s were based on stories that depicted life in Jones Town and the surrounding Eight Mile Rock communities. Therefore, it is only fitting that his first major project in five years is named after the place where it all began. Reintroducing listeners to his talents as a commanding singer and prolific storyteller, KB reminds us of the gifts that were instrumental in his evolution as an entertainer. The CD’s first release ‘Dis Time’ is a mid-tempo Rake ‘n’ Scrape love song with a smooth back beat rhythm that KB fans will easily identify. Just as wooing as fan favourite ‘Heaven Knows’, ‘Dis Time’ is KB at his best, serenading promises to the woman he loves, telling her that this time he is promising her all of his L.O.V.E. love. ‘Dis Time’ was written and produced by KB with help in the studio from fellow musicians and friends Colyn McDonald and Ira Storr. The music video for ‘Dis Time’ was shot on location in Jones Town, Eight Mile Rock and Tynes Bay Beach, Freeport. ‘Jones Town, Eight Mile Rock’ is available now for purchase on all digital music platforms.